Dried figs are not only deliciously chewy and decadently sweet; they are also an extremely healthy type of food. The fresh fruit is generally available from May through to September, with a slight variation in size (the larger ones are usually available in May whilst between July and August you can find the smaller, sweeter ones), but the dried versions are available all year round and they retain all of the nutritional properties of the fresh fruit. A rich source of minerals such a potassium as well as fibres, dry figs although super succulent and sweet, are low in sugar and have been proved to be helpful in managing hunger pangs when dieting. A typical method of preparing dried figs is sun drying them but there are also other artificial procedures that can obtain the same result. One way or the other there is no extra sugar added to the fig while dehydrating it and its entire nutritional intake stays absolutely the same. This is why dried figs are especially great to use as a healthy, sweet dessert. 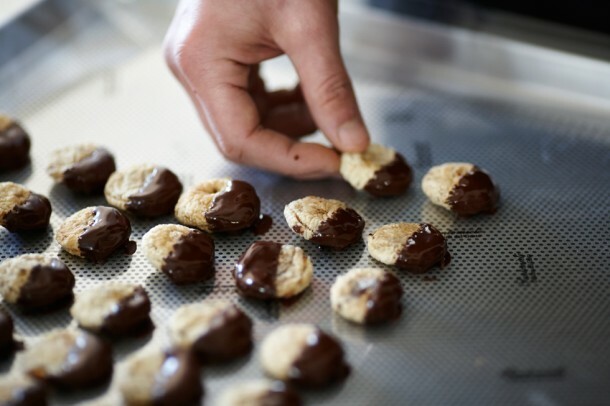 Here are a few ideas on how to serve these delicious treats after a homemade dinner. One of the easiest ways to serve figs as a dessert is to dip them in milk, dark or even white chocolate for that little extra sweetness. 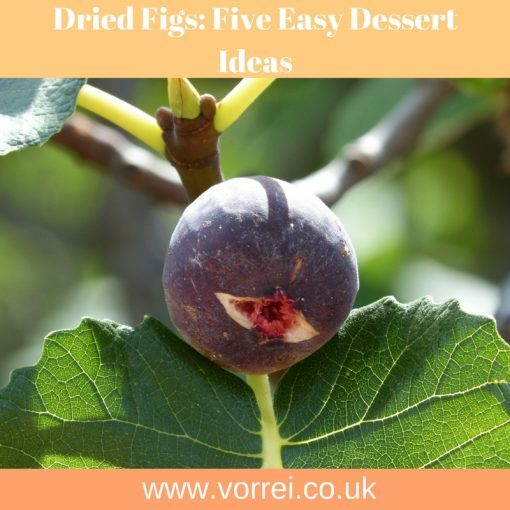 You can easily find pre-dipped figs ready to be eaten, there are some fantastic ones in Vorrei’s shop, but making your own, fresh batch is quite simple as well. Melt your chocolate bar by breaking it into pieces and placing it in a bowl, which you will have previously placed over a pan, filled half way to the top with water. This cooking method is called bain-marie. This way you will have more control over the melting process. When the chocolate is creamy and hot dip the figs then place them on a tray covered in parchment paper. Sprinkle them with pink Himalaya salt, cinnamon and a dash of nutmeg and you will have your special after dinner treat! 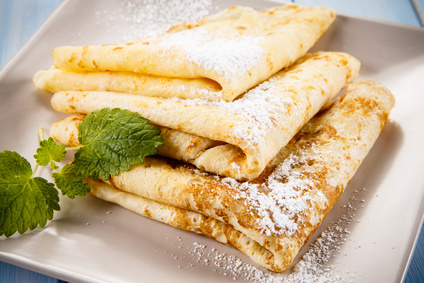 Crêpes are absolutely delicious both for breakfast as well as for an after dinner dessert. These are quite easy to prepare and require minimal effort! Mix the milk and eggs with the dry ingredients to make the crêpe batter. Place in the fridge covered up for about 2 hours. Take out of the fridge and stir gently for a few seconds. Heat a non-stick pan and melt a dab of butter in it then cook the crêpes by placing a dollop of the batter at the centre of the pan and turning it after about 30-40 seconds. Stack your crêpes on a plate and drizzle with the fig syrup. Dust them with a little icing sugar if desired. Decorate with a dried fig and blob of crème fraiche. This is an easy version of a cheesecake. You won’t need the crumbled biscuit base but you will definitely enjoy the luscious, cheese cream enriched with dried figs and oranges. For the sauce: combine all the ingredients except for the liqueur and lemon juice in a saucepan and simmer at medium heat for about 10 minutes. Turn off the stove and add the liqueur and the lemon juice. While the sauce is chilling make the mousse by beating the cheese and powdered sugar with the vanilla extract. Add the whipped cream and spoon the mixture into four cups. Top the mousse with the fig sauce and decorate with a dried fig. This dessert is extra easy to make but will taste deliciously good! Prepare your Crème Anglaise by mixing the eggs, vanilla and sugar in a saucepan then add the milk and turn on the hob to medium heat. When the spoon glazes over your Crème Anglaise will be ready. 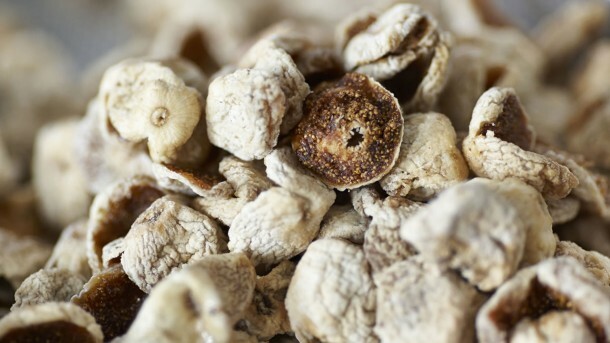 Pour it in a bowl and place this over a plate, surrounded by dried figs. Place the figs, Prosecco, vanilla and sugar into a saucepan and simmer for about 30 minutes on medium heat. If the syrup dries out add some Prosecco until the figs are soft. Place two scoops of ice cream in a bowl and top it off with the Prosecco and dried fig sauce. Let us know in the comments below if you liked our suggestions and be sure to check out our Colomba article for some more Easter sweetness!